Sometimes ms excel file creators restrict their files using excel file protection features from copying,editing , printing or viewing the contents.If you forgot the password or receive a password protected Ms Excel workbook from others, you can simply bypass those restictions using these free online utilities. 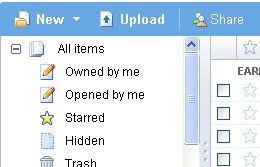 This utility removes copying,editting or printing restrictions of .xls files only. (If you want to remove restrictions of .xlsx files try next method written here. )The file should not be more than 5MB.The cracked / unlocked version of your excel file will be displayed in a new tab /window if ms excel or its alteratives installed on your computer . Otherwise you can download the unlocked excel file to your pc. 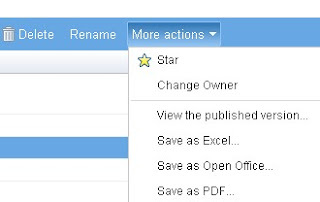 Another solution is you can upload your locked excel spreadsheets to google documents.It automatically removes workbook and sheet protection while uploading .You can edit the document and add or remove data so easily as you do with ms excel.Google documents supports both xls and xlsx formats for uploading and editing but you can download file only in xls format. Using this utility (demo version) you can reover 3 letter passwords or first three letters of passwords.It gives you a rough idea and you can guess password.This utility cracks and / or decrypts both protections ("Password to modify" and "password to open"). Goto: Passware Password Kit Basic . Atlast if above methods don't work and you want to view a file that is password protected using security features in Ms Excel like "password to open" or "password to modify" you have to try commercial cracking and recovery softwares like Office password recovery or Passware Password Kit Basic . For execute many actions with excel files and recover corrupted or deleted excel file other types there is-Microsoft Excel file is not in recognizable format,tool is free as far as I know,it has many features,moreover program will allow to avoid such error messages, like: xlsx this file is not in a recognizable format, xlsx file is not in a recognizable format or even this file is not in a recognizable version for Excel,help you to get rid of such messages: this file is not in a recognizable format Microsoft Excel, Microsoft Excel recognizable format and Microsoft Excel file is not in recognizable format,also tool will allow you to recover your files in Microsoft Excel format and avoid errors like: this file is not in a recognizable format xlsx, this file is not in a recognizable format xlsm, Microsoft Excel the file is not in a recognizable format, Microsoft Excel XP the file is not in recognizable format or even Excel file not in a recognizable format recovery. Yesterday evening I had unpleasant situation.Some of very important excel files were damaged no one knew how.But a friend advised me-Excel file repair software.And program solved this problem very easy and without payment.Moreover I saw how utility recovered contents and export of recovered data into a new document in Microsoft Excel format. Yesterday I had problem with my working xls file. I couldn't solve it and went to bed. This morning my friend called me and by chance suggested - recover Excel file. He was absolutely right, the software resolved my trouble quite rapidly. Thanks... I upload the file in googledocs, download it again. And it works like you've said..
Google Doc. is not uploading password protected file. The uploaded file is password-protected and could not be imported. Please remove the password and try again. Google docs worked great for me - when you upload tell google to convert to open office file type, then when you download back to your computer, tell it to convert back to excel file type. There's one more way to unlock Excel files not listed here. When I lost a password to open Excel file, I used an online service called www.password-find.com . You upload your file to the server first, and in several seconds you are given a link to download it with all password remove! It required some fee, but I think it worths it. Hope this will help someone! Here's a really simple way. Print the spreadsheet to a PDF. Open in Acrobat Pro and simply save it back as a worksheet. You get all the numbers and columns minus any formulas. What if the excel file is inside a .7z file, I want extract but ask for a password, no the .7z file, the excel file. If somebody can help, the .7z is unprotected but the excel has password. office password recovery i have got the solution.